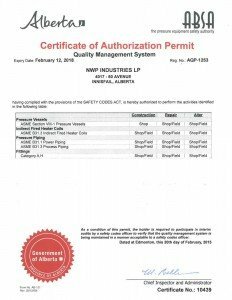 Quality is of the utmost concern to us and our customers. 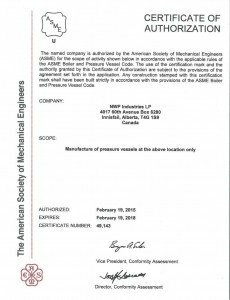 That is why since 1992 we have had an industry leading quality control program modeled extensively after the ISO 9002 program. Every piece of equipment you order is subject to rigorous quality control measures and extensive documentation. 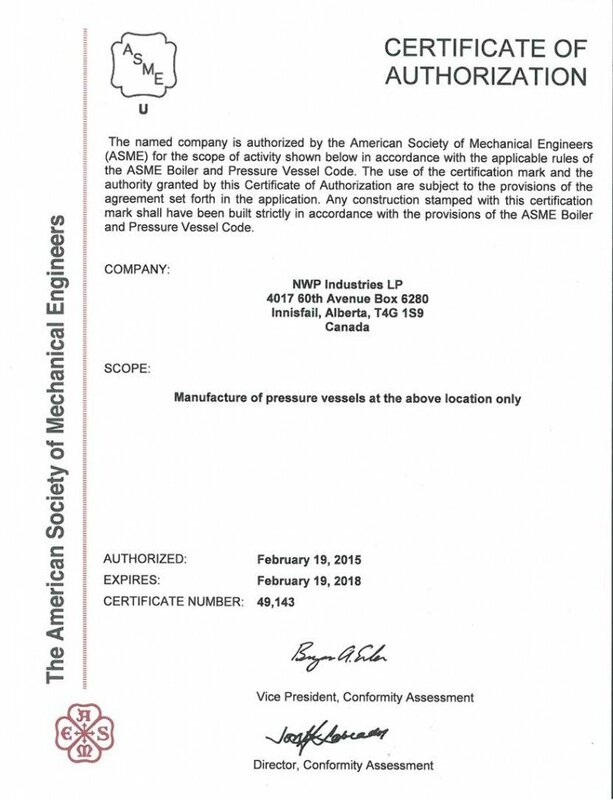 Each piece of equipment we sell includes a full Quality Control package for your documentation and piece of mind. Ask yourself, “Am I getting that kind of assurance from my current manufacturer?”. NWP is a member of the Alberta Quality Program (AQP-1253). 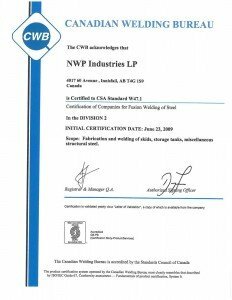 All of NWP Industries products are build in accordance to ASME and EUB standards. 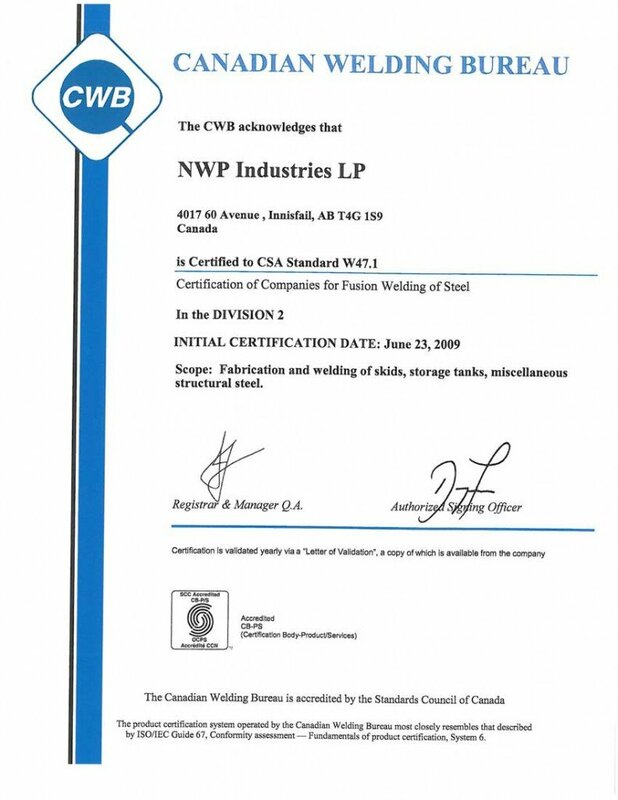 For more details about our quality programs and processes contact NWP directly. We are always happy to brag.